Sometimes I just want a salad but don’t want to spend a bunch of prep time every day to get what I want. 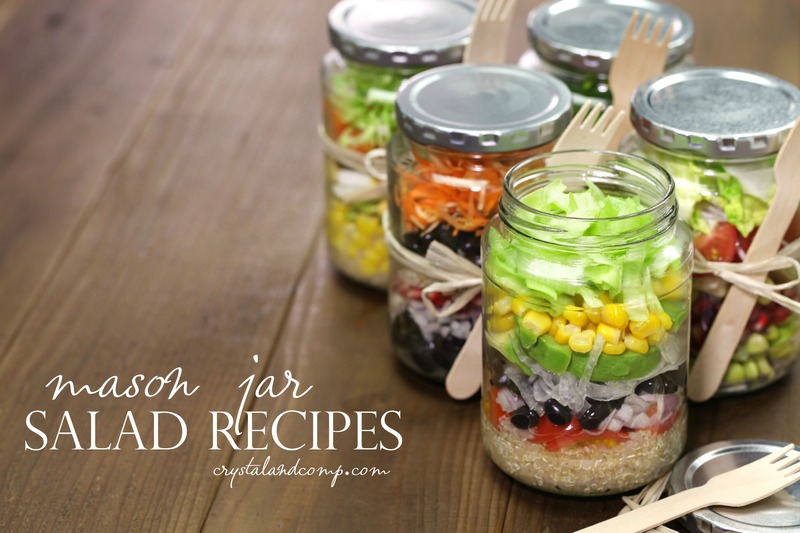 Mason jar salad ideas are a fabulous on-to-go lunch, snack, or a quick grab from the refrigerator. There are tons of options for Mason Jar Salads to include just about anything you heart desires! Who doesn’t love easy recipes like these? When assembling jarred salads there a a couple of key points. One is that you want to keep your dressing on the bottom. This makes things really easy and keeps everything fresh! Simply turn it over before your ready to eat and BAM! Your salad has dressing all over! Keep your greens or salad contents on the top. This avoids moisture buildup. 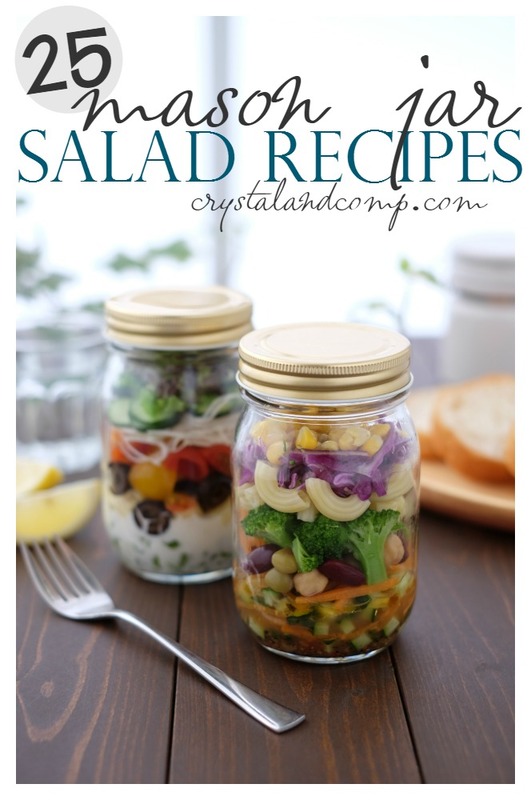 Are you ready to fill your refrigerator with yummy, healthy, on-the-go salads. Check these out! 14. If you want a sweet treat without the calories try this Skinny Fruit & Yogurt Salad. Skinny Ms.
Do you have a fantastic recipe for a jarred salad? Please share!